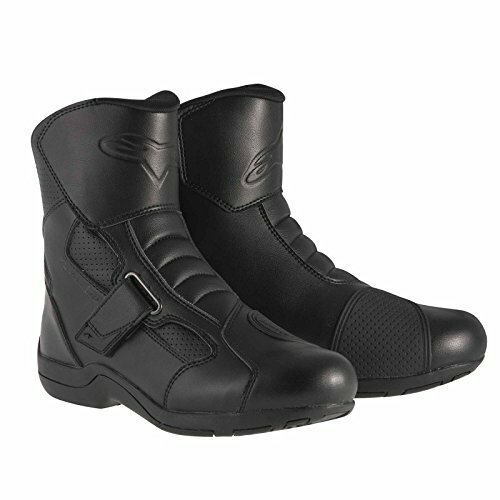 New boot shaping for fit and comfort, plus ergonomic toe box. Synthetic main upper incorporating durable microfiber front and rear accordion flex zones. Soft-punched microfiber panel on the lateral side for improved comfort. Hot-melt reinforced shin plate for weight-saving and protection. Redesigned instep and Achilles accordion flex zones. 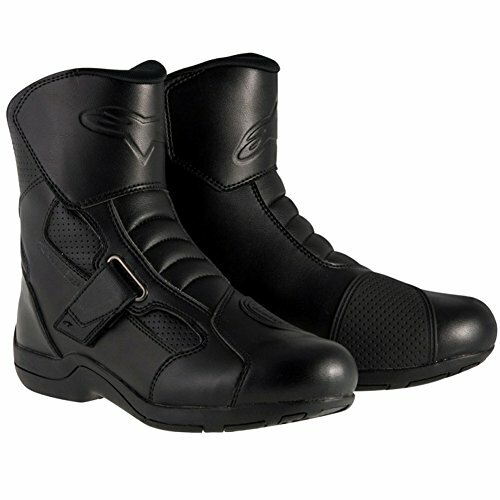 Adjustable hook-and-loop straps ensure a secure closure and personalized fit. Strap features TPR pull tab for ease of closure. Rear reflective insert for improved visibility. TPU shift pad. Double-density ankle protector on medial and lateral side applied under the upper. Comfort padding envelopes ankle area for fit and comfort. Collar lining made with textile for superior comfort. Waterproof lining. Internal heel counter and toe box is layered under the upper. Internal insole with integrated shank reinforcement for added support to the arch area. 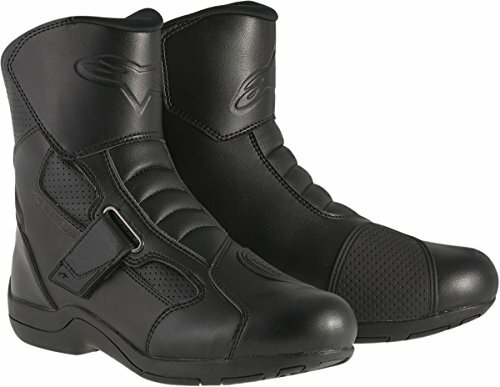 Exclusive rubber compound sole. Replaceable anatomic EVA footbed with textile lining on top. 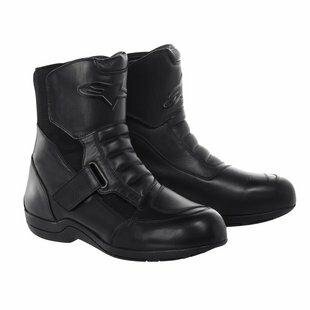 A lightweight touring boot constructed from a durable and abrasion-resistant microfiber, the Ridge 2 Air incorporates strategically positioned perforation zones for optimized levels of comfort, performance and protection. 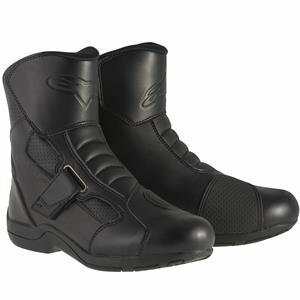 Compare prices on Alpinestars Ridge Black Waterproof Boots at ShopPlanetUp.com – use promo codes and coupons for best offers and deals. We work hard to get you amazing deals and collect all available offers online and represent it in one place for the customers. Now our visitors can leverage benefits of big brands and heavy discounts available for that day and for famous brands.